Against significant odds, almost 3,000 family doctors and specialists have signed a petition in a little over two days under section 15.2 of the OMA’s own by-law to oppose the OMA’s effort to rapidly push through an approval of its recently announced proposed PSA that raised multiple concerns among a wide range of Ontario doctors. The OMA conceded to the Coalition of Ontario Doctors’ legal team late Sunday night that at least 5% of the medical community had requested a general member meeting that required the OMA Board to respond. As a result, all OMA Council activities are suspended until such time as a meeting is held. The member referendum and the Council vote will be delayed until physicians have had a chance to discuss the proposed PSA, debate the pros and cons, and have their questions answered. The Coalition, a group of OMA Sections and physician organizations, representing Family Physicians and Specialists, feel that the OMA’s surprise negotiation process failed to comply with its own commitment to securing binding arbitration (BA) as a necessary requirement to initiating negotiations with the Liberal government. 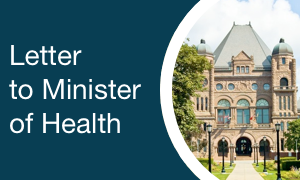 In addition to its failure to comply with the need for a fair BA process for Ontario doctors and their patients, the PSA was widely seen as being flawed, ambiguous, and the basis for further cuts to health care and under funding to appropriately meet patient care needs. Today, a judge will be hearing an application for an injunction filed by Drs. Jacobs and Prieditis on behalf of the Coalition, to seek legal remedy and to enforce where necessary such activities and efforts to ensure that both sides of the PSA proposal can be addressed in a fair and transparent manner not previously afforded by the OMA’s process.